Compton Construction builds unique, creative spaces spanning everything from co-working spaces to some of Columbus’ favorite breweries. Compton wanted to win over their dream client—BrewDog. As far as a construction company and brewery go, these two were pretty much made for each other. They asked us to design a memorable sales kit that showed how the Scottish brewery’s punchy attitude and Compton’s bold personality were a perfect match. And wood. And leather. The chosen materials for this pitch went above and beyond a plain old printed booklet. 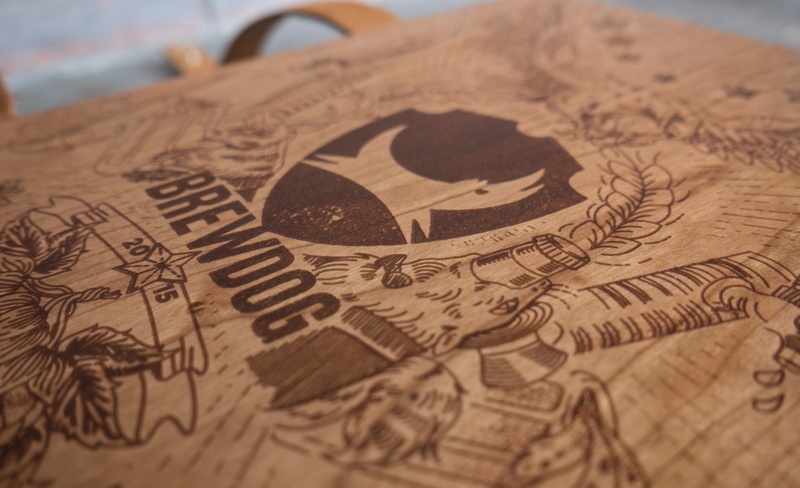 Inspired by vintage beer crates, the custom box, made by Columbus Idea Foundry, was laser-etched with our BrewDog-inspired illustrations. It did. It definitely did. Break the seal, make a deal. Throughout the pitch, our copywriting was heavy on sarcasm to match BrewDog’s “stick-it-to-the-man” attitude. This pitch won several awards including a Local and Regional Gold Addy. This design sprint reflected the fun and hard work of Compton themselves.